Practically everyone in the U.S. House voted for a much needed pay raise for our men and women in the military, except for Democrat Jared Polis who is also running for governor. Polis, who swims in millions of his own money made from capitalist ventures right here in the good ole USA where our military has protected our way of life for centuries, thumbed his nose at a 2.6 percent raise. The soldiers who went to war to protect us from another terrorist attack, many of whom rely on food stamps and other federal aid while they risk their lives to protect ours — Polis said nope, you’ll have to make due on the median wage of $36,200. The good news is that the measure passed without Polis’s vote by 359 to 54, that includes 139 other Democrats who did vote in favor of this bipartisan bill that included funding for Colorado, according to the Colorado Springs Gazette. In voting against the pro-military act, Polis counters infusing more than $130 million into military bases in metro Colorado Springs. He apparently opposes $77 million for a vehicle maintenance shop at Fort Carson, and $24 million for training and equipment buildings for the 10th Special Forces Group. Without those buildings, Colorado could lose its 4,400-soldier 2nd Brigade Combat Team. By opposing the defense bill, Polis goes against the interests of tens of thousands of Colorado-based troops and more than 6,000 civilians who work alongside them. Polis claims he’s now decided to be fiscally responsible. But only when it comes to our military, which the federal government is actually responsible for funding. Polis still wants taxpayers to pay for “free” baby sitting and health care for everyone. Because Obamacare worked out so well. The Gazette editorial board has a laundry list of items voters should consider before the gubernatorial election in just a few months. 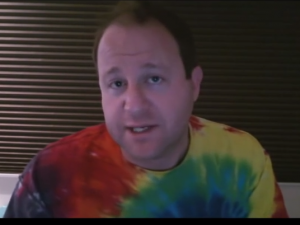 Voters should read this before deciding whether Polis has Colorado’s best interests at heart.